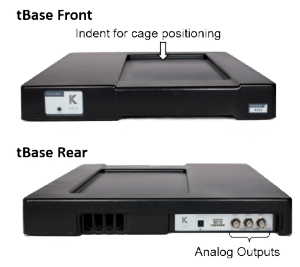 The tBase is both a wireless power supply and receiver for Kaha Sciences mouse telemeters. The top of the tBase has an indent (335mm (L) x 190mm (W) x 10mm (D)) which the mouse cage is placed in for the best access to the inductive power field. The tBase generates an inductive power field which extends approximately 7cm above the surface of the indent.  When the mouse telemeter is within the tBase power field, the telemeter will be powered and data recorded. Change/configure the transmission frequency of the telemeter. Run Diagnostics on telemeters and tBases.